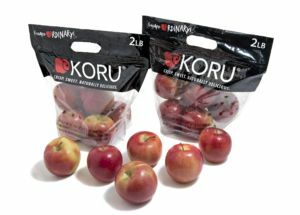 The KORU® apple is just hitting its stride this spring as the favorite late season apple. KORU® has an excellent flavor profile with hints of vanilla, a crisp texture, beautiful color for displays at the store level and best of all – extended shelf life in both stores and at home for consumers. According to Chelan Fresh Senior Director Denny Annen, “the KORU® is now available year-round with strong domestic production and imports arriving from New Zealand in late May. Because KORU® keeps so well, late spring and early summer is the perfect time to highlight KORU® in stores with big displays of quality fruit”. KORU® is also slow to brown when cut, making it a good option for cheese pairings and fresh spring salads. Look to chelanfresh.com/recipes for unique recipe ideas like KORU® apple sausage and KORU® apple chutney that are perfect for incorporating KORU® into a daily routine. 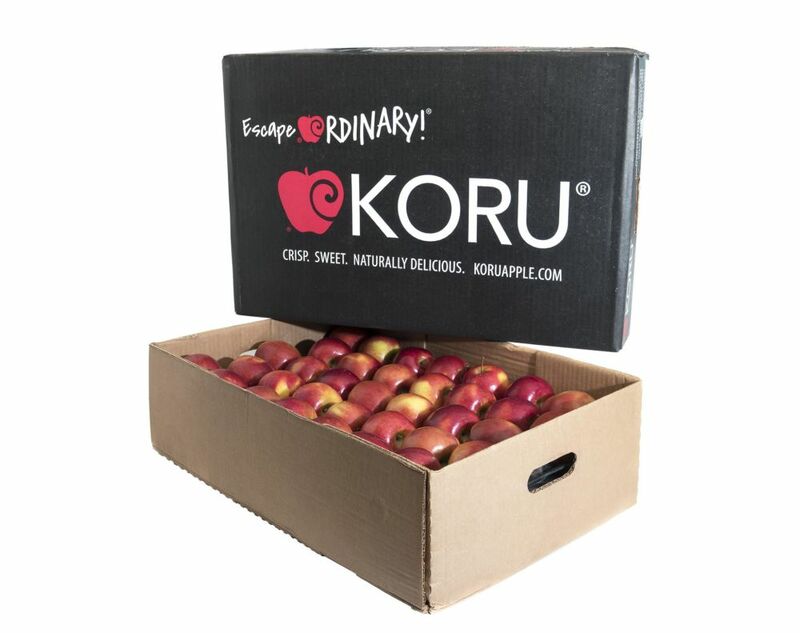 As the domestic KORU® season wraps up in early June, high quality KORU® apples from New Zealand will begin arriving in the U.S. allowing for a seamless transition and continual supply of this popular apple. Ask your Chelan Fresh sales team member how to feature KORU® in your store.